Industrial communities in Indonesia form community around old sugar cane plants. 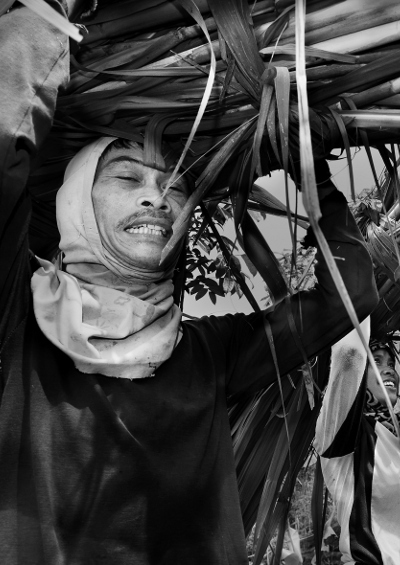 5 photos that capture the community forming around old sugar factories in #Indonesia. #Indonesia may have shuttered its sugar factories, but these pictures capture a colonial legacy that remains. 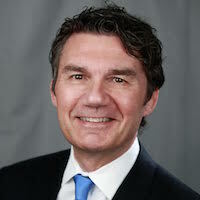 Tomasz Tomaszewski is a regular contributor to the National Geographic magazine, and a photographer with thirty years of experience. 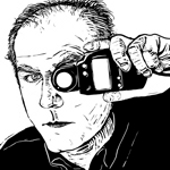 He teaches photography in addition to taking his own photos, and specializes in press photography. In 1933, Java was the world’s leading sugar producer, with more than 200 factories processing sugar cane and selling their output to the world.  A product of colonialism, the industry had got its start in the early 19th century after the abolition of slavery in the Caribbean led to European sugar firms looking for new locations for plantations in Asia. After failing in India, the Dutch found success in Java, expanding output throughout the 19th century. In 1945, Indonesia regained its independence and nationalized the industry. Today, only just over ten factories remain in operation, all using steam-powered machinery installed over a century ago. Although wages are low in Indonesia, productivity is poor, and production costs in Brazil and Suriname are lower. Most of the sugar consumed in the country is now imported. Despite the industry’s decline, for those who still work in them, the factories are an important part of their life. Shuttered for much of the year, they awaken when the cane is harvested. Casual workers are hired, and the towns around the mills fill up with peddlers and travelling fairs. 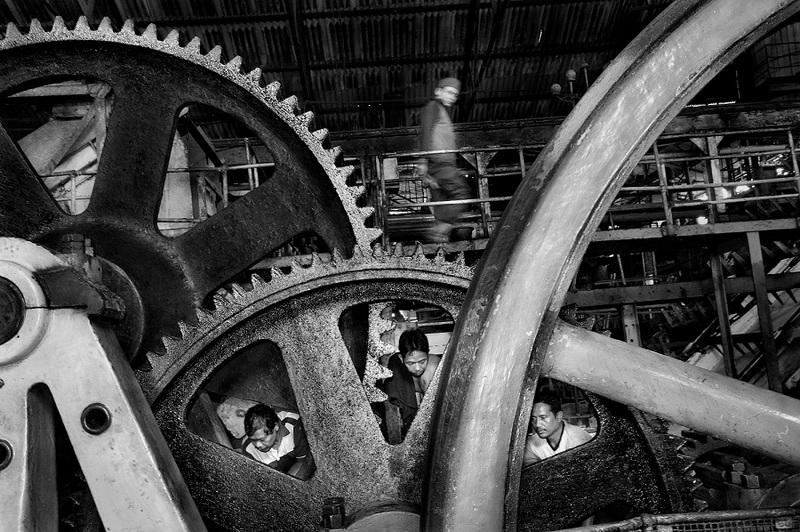 Enlarge Workers repairing steampowered machinery installed more than a century ago at Pangka sugar factory in the central Java city of Tegal. 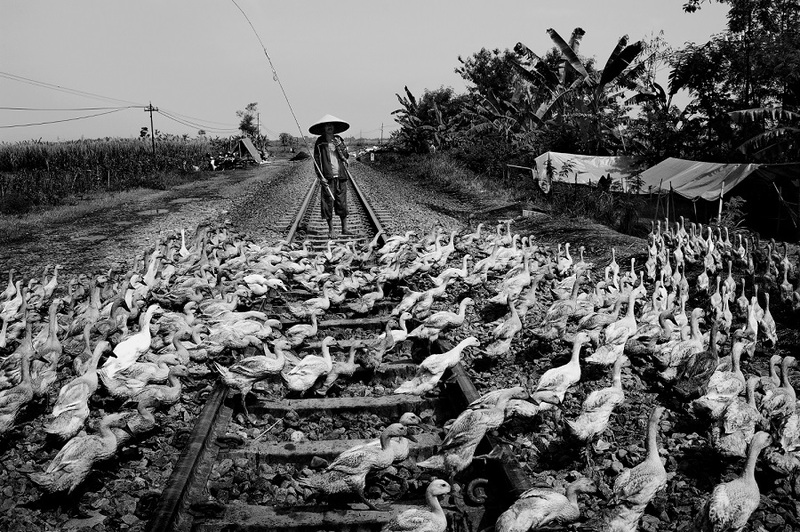 Enlarge A farmer drives his f lock of ducks across a disused railway line at the now shuttered sugar factory in Comal, central Java. 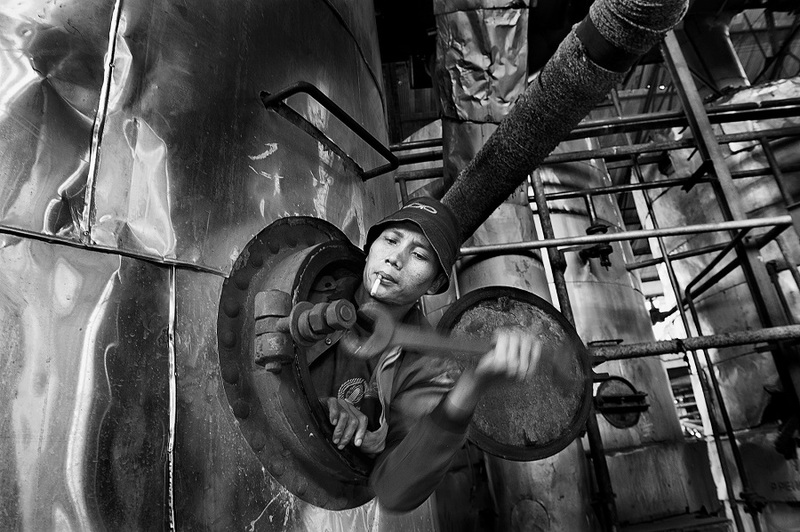 Enlarge A mechanic tightens a bolt just before the milling season starts at Sumberharjo sugar factory in Pemalang. 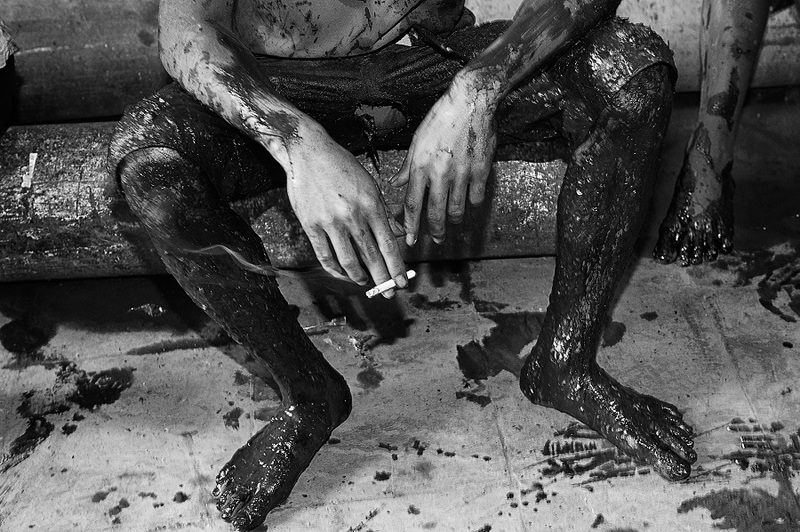 Enlarge A worker takes a cigarette break while carrying out maintenance work before the start of the milling season at Tegal’s Pangka sugar factory. 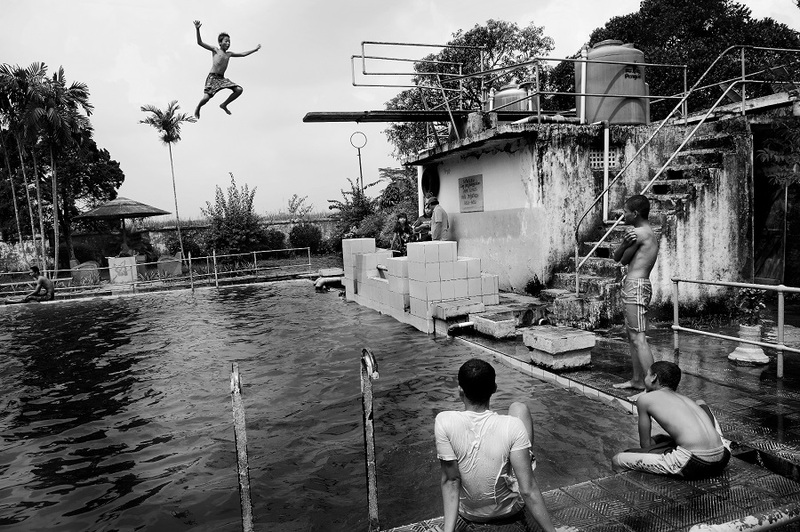 Enlarge Local people relax during the weekend at the Comal Baru sugar plant’s swimming pool, built during the industry’s golden age for use by the factory’s Dutch staff.